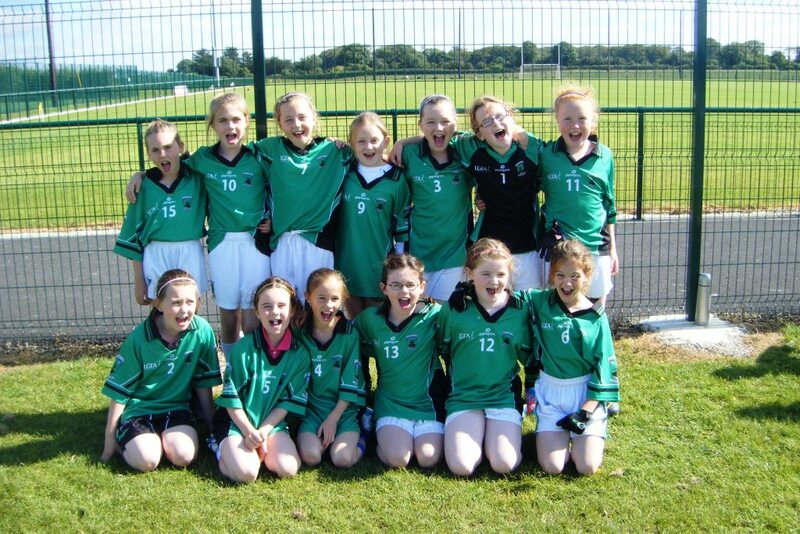 Well done to the under 10s and 8s girls football teams who recently played a Munster blitz in Rathkeale, Co. Limerick. There were some great individual performances from the girls on both teams. The girls played teams from Cork, Kerry and Limerick and had some great wins. Thanks to all the coaches and parents who travelled on the day. 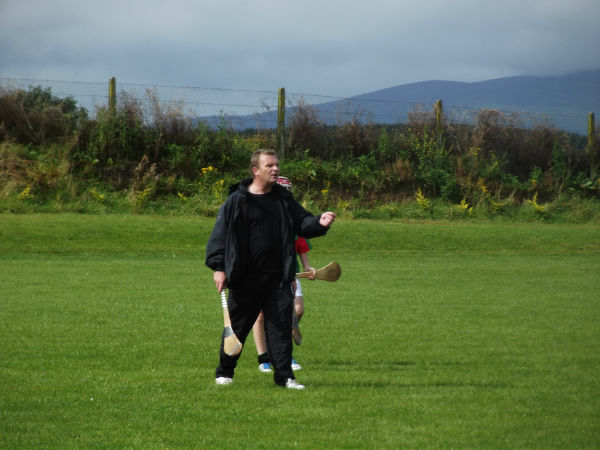 The future is looking bright for Clerihan Ladies football Club. 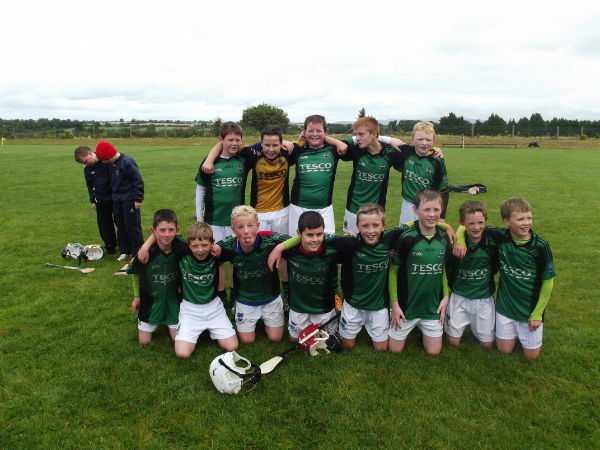 Our under 8 boys enjoyed a great day of football at Fethard on Saturday where our skill was tested against Commercials, St. Pats and hosts Fethard who organised a great afternoon for the boys where the Danagher Cup was up for grabs and all the boys were presented with winners medals, a big thanks to Fethard for the organising the day. 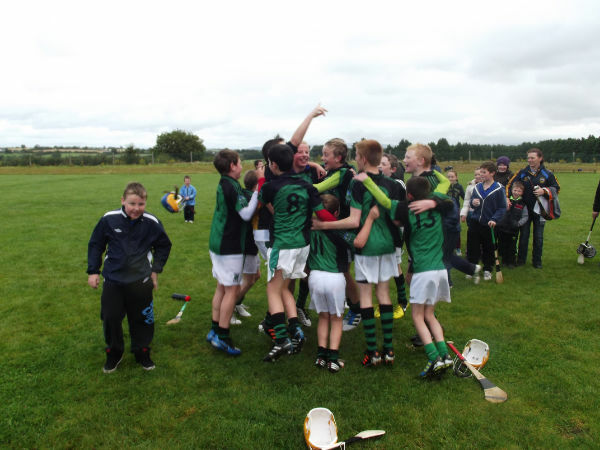 Our under 12 hurler’s had a super win on Sunday against Mullinahone to become South County winners and the boys displayed a tremendous amount of skill, the first half was very demanding as the heavens opened but Clerihan held their composure, with the wind at their backs they managed to score 4 points to Mullinahone’s 3 and started the second half playing into the wind but they kept the pressure on their opponents with 3 successive wides and eventually hitting the jackpot with a fantastic goal from Shane Buckley , Mullinahone tried to pick up the pace of the game but the brilliant Clerihan backs prevented them from scoring that badly needed goal, 2 points put Mullinahone back in the game and a free to Clerihan put them 3 points ahead with minutes to go , the final whistle was music to their ears as Clerihan become South County winners for the second time ,well done to all the boys involved and Jerry, John and Liam who put in all the hard work to achieve success. Final score Clerihan 1-5 to Mullinahone 0-5. 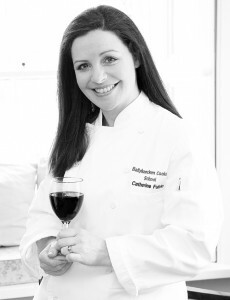 Tune into Tipp FM on Monday, 24th September at 12.30 pm to hear an interview with Catherine Fulvio of Ballyknocken Cookery School who will be the star guest at the Tipperary Harvest Food Festival on 30th September! 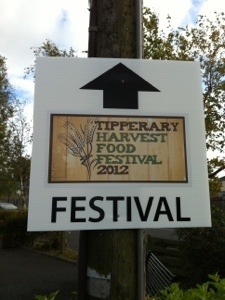 Preparations for the Tipperary Harvest Food Festival 2012 are in full swing in Clerihan! The festival was officially launched on 5th September and Clerihan Community Council – the organiser of the festival promises something for everyone. The festival will kick off on Saturday, 29th September with a Fashion Show in Halla na Saoirse and a Barn Dance in the festival tent in the Community Park. 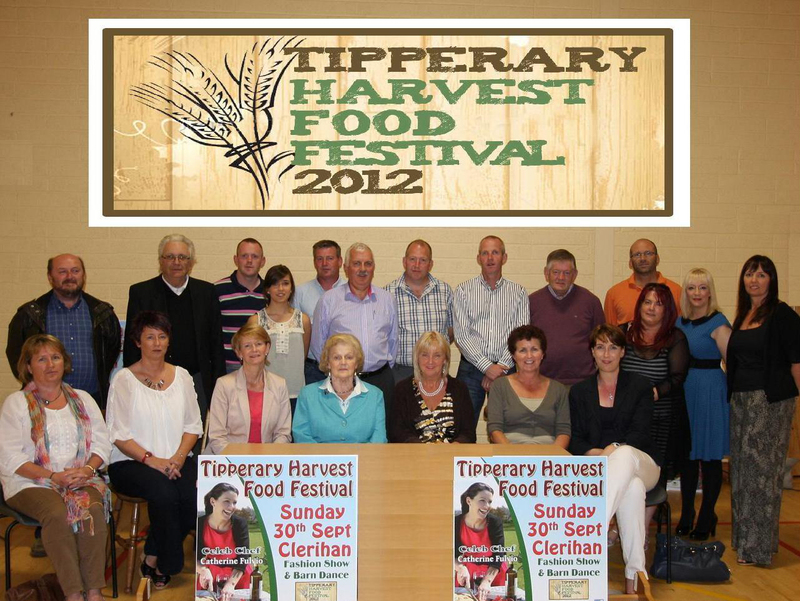 On Sunday the Festival will promote and celebrate Tipperary’s rich heritage and tradition of producing and preparing quality artisan foods with dozens of food and health stalls, kids entertainment, craft demonstrations and much more. Don’t miss!